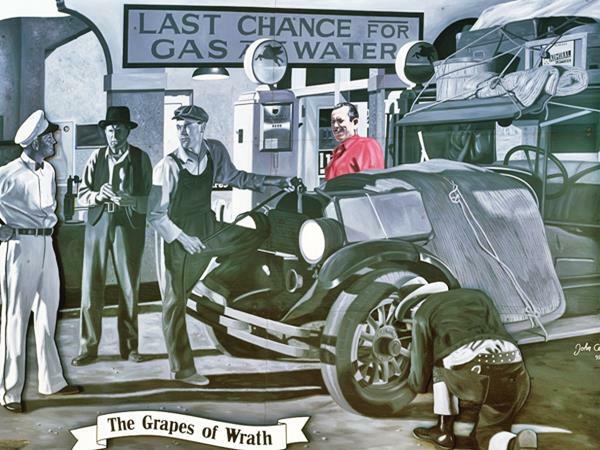 "The Grapes of Wrath": this Pulitzer Prize winning novel written in 1939 by Nobel Prize author John Steinbeck tells the dramatic story of an Oklahoman family who must embark on a journey along Route 66 to California seeking a new start in life during the stark years of the Great Depression and the Dust Bowl. In 1940, John Ford shot the movie which gave it global fame, and earned him a Best Director Oscar. 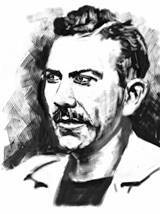 Steinbeck was an American novelist, war correspondent and short story writer who was awarded the Nobel Prize in Literature in 1962. Born in Salinas, California (Feb. 27, 1902), he absorbed his local and regional setting and people, which he would masterfully render in his later works set in Southern California. Among his most known works are Tortilla Flat (1935), Of Mice and Men (1937), The Grapes of Wrath (1939), Cannery Row (1945) and East of Eden (1952). His left of center political views surfaced in his writing, which often depicted the plight of the poor, the exploited common man, toys of fate and injustice. The Grapes of Wrath received the 1940 Pulitzer Prize for Fiction and has sold over 14 million copies during the first 75 years since it was published. He won the 1962 Nobel Prize for Literature. He died in New York, USA, on Dec. 20, 1968 at a young age of sixty six. 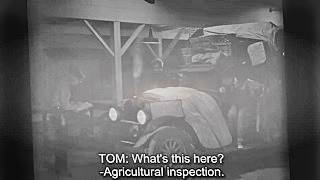 The Grapes of Wrath is set in the mid-1930s, in the United States. 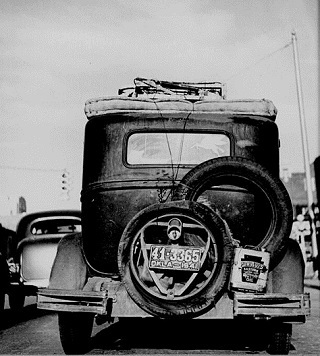 The Great Depression and the Dust Bowl drought have disrupted the American economy and millions are unemployed. The novel describes the fate of a family of sharecroppers, the Joads: they lose their land and home, pack their scant belongings and head west, to California seeking a new start. Definition of Wrath: "1. An intense emotional state of displeasure with someone or something, 2. Suffering, loss, or hardship imposed in response to a crime or offense". "The Battle Hymn of the Republic" was written in 1861 by Julia Ward Howe. It became popular and was adopted as an anthem by the abolitionist cause and the Unionist soldiers during the American Civil War. The novel was published on April 14, 1939 by Viking Press-James Lloyd. It won the National Book Award and the Pulitzer Prize for fiction, and was one of the reasons for granting Steinbeck the Nobel Prize for Literature in 1962. The inspiration for the hymn's title came from the Bible's Book of Revelation (14:19-20): "So the angel swung his sickle to the earth and gathered the clusters from the vine of the earth, and threw them into the great wine press of the wrath of God.". In the case of the hymn, the title refers to the vengeance of God against the evil ways of mankind (i.e. slavery in the Confederate states). Steinbeck's first wife Carol suggested the title, and he followed her advice. In the novel the "grapes of wrath" takes the meaning to a less bellicose level: capitalist oppression; the greed of banks and landowners who exploit the poor, dispossess the farmers and cause suffering to hundreds of thousands of migrant workers. Tom Joad is paroled from prison (he was serving a term for homicide). He returns to his home in Oklahoma in the company of a roaming preacher (Jim Casy). They find the farm deserted and learn that the family has moved over to Uncle John Joad's place: they and other farmer have been evicted by the banks, but Uncle John refuses to budge. The Dust Bowl caused crops to fail and the lack of cash led farmers to default on their loans, their farms were repossessed and with nothing left, the Joads must move on. They pack their scant belongings into the family's car reconverted to a truck and start a journey to California where, apparently there are jobs available. Tom and Casy join them in their exile. The road they take is no other than Route 66 which Steinbeck names the "Mother Road": "66 is the mother road... the road of flight". As they travel, they meet other migrants, and many returning without having found jobs. Granpa dies on the way and so does Granma. The group splits up when the eldest son Noah and the husband of the pregnant Joad daughter (Rose of Sharon) depart. Ma Joad leads them onwards, as there is nothing to go back to. Once in California the prospects are grim, jobs are scarce and wages low and migrants are exploited by the large farming concerns. The exiles find refuge in Weedpatch Camp, run by the Federal Resettlement Administration, which offers some protection to the needy. Casy tries to organize a labor union to resist exploitation. A strike in a peach orchard turns sour and Casy is beaten to death, but Tom Joad kills the attacker and escapes. The family moves to a cotton farm where Tom moves on and Rose of Sharon's child is stillborn. Ma Joad stands strong, and as they seek shelter from a flood, they find a young boy with his father, who is dying from starvation, and Rose of Sharon saves him by offering him her breast. Woody Guthrie wrote "The Ballad of Tom Joad" in his 1940 album Dust Bowl Ballads. Rock singer and author Bruce Springsteen's album The Ghost of Tom Joad (1995) contains the song "The Ghost of Tom Joad", which draws a parallelism between the Dust Bowl era and our times. It was controversial in its time: banned in the U.S.S.R. by Stalin because it showed that even the poorest Americans could own a car. It was burned in many places across America, and declared to be "communist propaganda". Steinbeck received death threats. When he finished the book Steinbeck wrote: "It isn't the great book I had hoped it would be. It's just a run-of-the-mill book", he was off mark because, eventually, it earned him the Nobel Prize for Literature. Darryl Zanuck bought the film rights for The Grapes of Wrath for $75,000. Henry Fonda, who played the part of Tom Joad, became a good friend of Steinbeck. 128 minutes, Black and White. (Released: Jan 24, 1940). Screenplay Nunnally Johnson based on the novel by John Steinbeck. Read more at out Lupton Arizona page. Produced by: Nunnally Johnson and Darryl F. Zanuck. Prizes: Oscar, Best Director (John Ford) and Oscar Best Actress in a Supporting Role (Jane Darwell). This is one of the few movies that dealt with the terrible suffering caused by the Great Depression and the Dust Bowl drought of the 1930s. It portrays the bleak reality, the turmoil, loss and pain of sharecroppers, who had lost their land in Oklahoma and had to relocate in California seeking the opportunity to survive. Review. This movie is a strong and harsh portrayal of the suffering of the Joads, which was not due to their extreme poverty but to the terrible loss provoked by their uprooting, the loss of their home, their farm, their roots and sense of belonging. 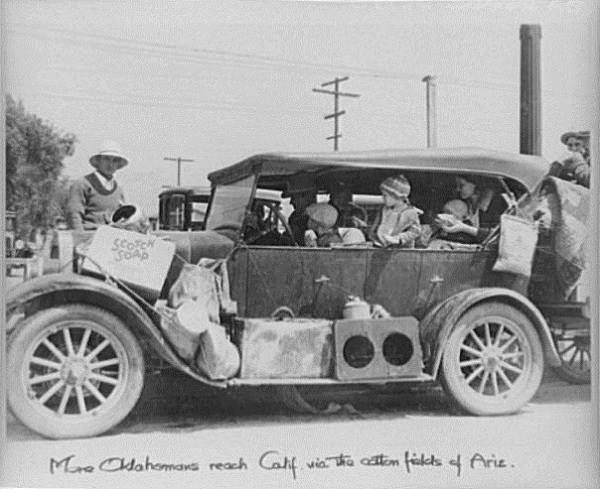 Toland's photography is excellent; it captures reality with the clearness of a documentary and emulates the photography of Dorothea Lange, who was commissioned by the U.S. government to record the unfortunate situation of the Oklahoma farmers. The story, based on Steinbeck's novel deals with a family of Oklahoma farmers, dispossessed of their home and land, who embark on a trip to find a new start in California, seeking survival like thousands of others. In the film, the crude portrayal of the novel is softened: the fate of the migrant farmers takes a turn for the better, and offers a glimmer of hope in the closing lines of Ma Joad (played by Jane Darwell, who won an Oscar for her role): "Rich fellas come up an' they die, an' their kids ain't no good an' they die out. But we keep a'comin'. We're the people that live. They can't wipe us out; they can't lick us. We'll go on forever, Pa, 'cause we're the people.". John Ford, who directed "The Grapes of Wrath" knew Route 66. He had just finished shooting the classic western movie "Stagecoach" starring John Wayne (1939) in Monument Valley, Arizona - Utah, and had to drive down US 66 to get there. Route 66 scenes were shot in Sayre Oklahoma, with the Courthouse, Santa Rosa, New Mexico, where the Joads' truck crosses the Pecos River. 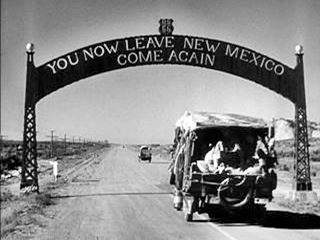 At the New Mexico - Arizona State Line, where a sign informs travelers that "You now leave New Mexico" (in a "me Tarzan you Jane" manner); see a photo of this scene. There is a shot of an Inspection Station in Lupton, Arizona (see some stills of this scene in Lupton) and finally, the Jordan River of the Joads: the Colorado River at Topock, which offers them a view of the promised land (California). 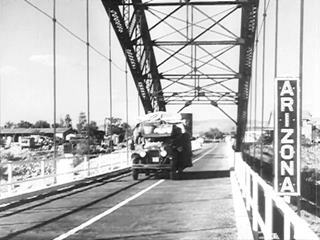 And then there is a shot of the truck crossing the bridge which links Arizona and California across the Colorado River: the old Topock Bridge. Listed in the National Register of Historic Places in 1988. 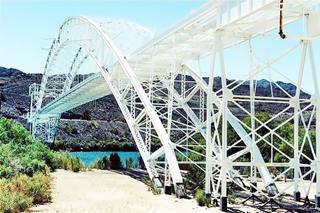 This steel arch bridge was built in 1914 and has one 600 foot span (183 m). It crosses the Colorado River south of Needles, California, at Topock, Arizona. It was operational for car traffic between 1916 and 1948. It predates Route 66 by ten years. Its purpose was to funnel traffic through northern Arizona, with the southern flow crossing the Ocean-to-Ocean bridge in Yuma. It initially formed part of the novel National Old Trails Road, which was the first transcontinental route linking St. Louis to Los Angeles 1914. Later incorporated into Route 66. In its day it was the lightest and longest large span bridge in America. In 1948 the deck was removed to accommodate a natural gas pipeline which is still in place. 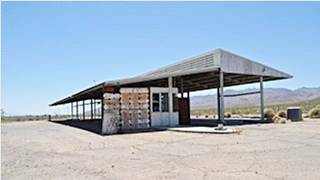 The station at Daggett was established to prevent the introduction of diseased fruits and plants into California, to protect its crops and citrus groves. Cars were stopped and checked here and at other stations along California's borders. Travelers were given an admission certificate to continue their journey, but during the Dust Bowl and Great Depression, it also served as a "border control", turning back many of those seeking jobs in California. See its Street View, it is on the north side of old US 66 east of Daggett, and you can also reach it from I-40's Exit 12. See it below. Banner image: Dead Man's Curve, Laguna New Mexico by Perla Eichenblat. Copyright © 2014 Road Trip Journeys, all rights reserved. TheRoute-66.com is the ultimate Travel Guide for planning the road trip of your life driving along Route 66. All the information you will need on the best travel destinations, attractions, hotels, motels and restaurants on U.S. Route 66. Plan your Route 66 Road Trip online with us.